.....doesn't actually exist which makes it difficult to explain why you can usually see one every Wednesday night, at 2.39am, tirelessly weeding your garden. Barfoones are oversensitive and self conscious creatures and should be approached with extreme caution. If startled or frightened in any way they will emit a barrage of terrifying attack balloons form their enormous mouths. 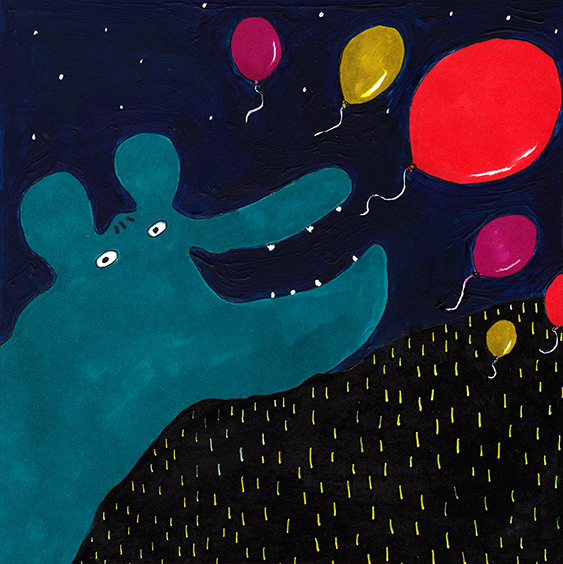 If you ever see a balloon in the night sky you know that there is a panicking Blue Barfoone not too far away. You have been warned.